BEAUTIFUL 2 bedroom, 2 bathroom UPGRADED split 2 bedroom, 2 bath Santa Barbara model with a wonderful great room floor-plan. Neutral paint, newer carpet & tile! Kitchen boasts granite counter-tops, drop-in sink many cabinets. 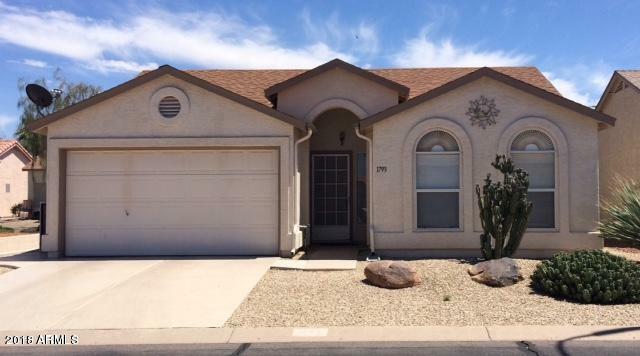 Cozy master bedroom with walk-in closet & full bath.1.5 car garage with full size washer & dryer in garage. Covered & un-covered South patio in w/sunshade on covered patio. Light, bright, easy care and a great home for your entertaining and /or relaxing. Property backs up to backs up to common area which HOA maintains.See today ! Sunbird Golf Resort amenities include: 18 hole golf course, clubhouse w/restaurant, pool/spa, billiards, tennis, library, on-site post office and SO MUCHMORE!